You guys I did a successful watermarble! I am so happy! So happy you have no idea! I just sat myself down and said "Katherine, today you are going to do a watermarble and it is going to work." And it DID! For my marble (hooray!) I started with a base of Ceramic Glaze Heavenly and then used it with three other shades to do my watermarble: Ceramic Glaze Surf's Up, CND Vinylux Honey Darlin' and CND Vinylux Desert Poppy. All of them marbled beautifully! After cutting and applying my decals I decided to add a layer of Julep Silk Effect Top Coat to make it a bit matte. It's a slightly grainy matte to give it the 'silk' look, so that's why it looks a bit bumpy in the macro below. I think this is really lovely, and I need to stay again how proud I am of myself for doing a successful marble. :) I'm going to try to do them more regularly so I can continue to practice so be prepared to see a lot more coming up in the future! 2016 will be the year I conquer watermarbling! 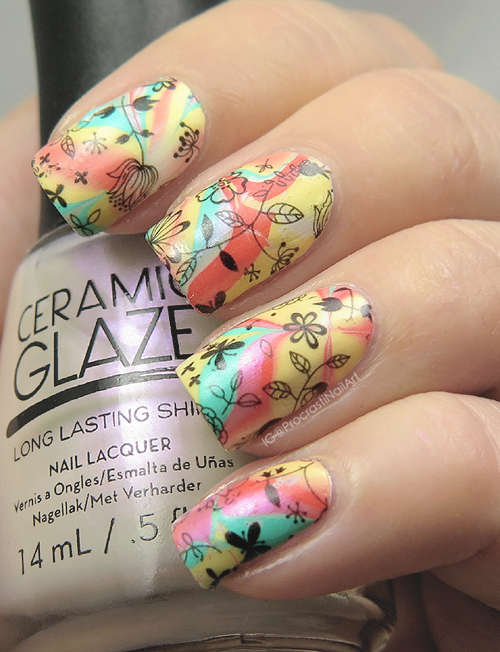 The decals look amazing over the watermarble! Pretty much perfect water marble!! So jealous. No matter how much I practice, it just doesn't get that good. This is really cute! 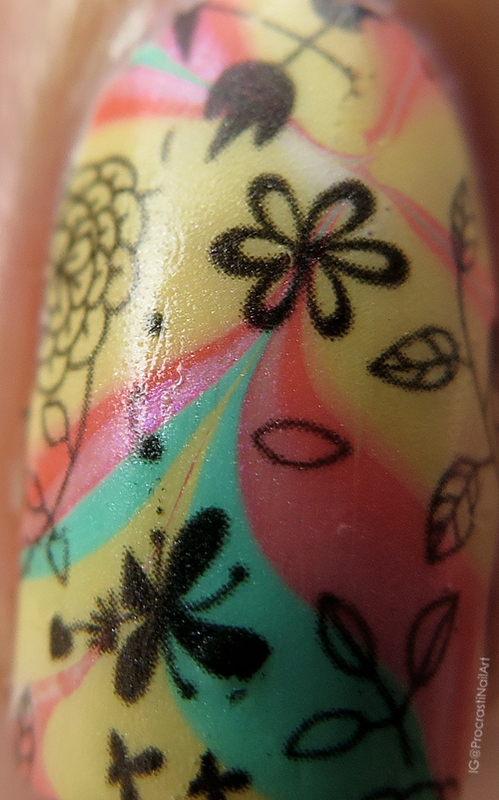 It is fun when you get a water marble to work well. This is a beautiful look. Ohh, this is so pretty!! The colors you chose are wonderful! Great job! This is simply amazing! Oh gosh, I thought the base was part of the decals!!! 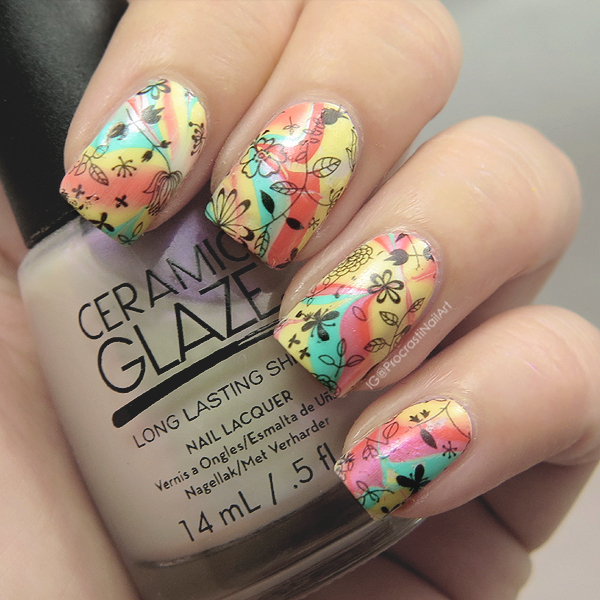 That's a perfect watermarble for sure! 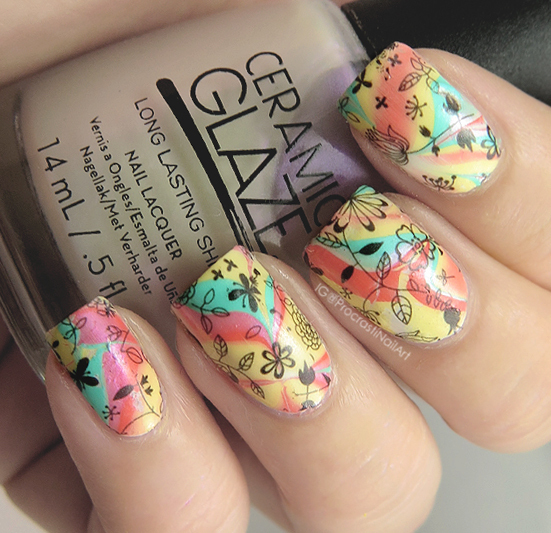 Fantastic watermarble! I love when they come out right. that marble is amazing under the decals.